For the last couple of years in the sneaker world, it seems like every model releases in some sort of tonal colorway. From the oldest retro runner to the highest performance hoops shoe, the monochromatic look is everywhere. 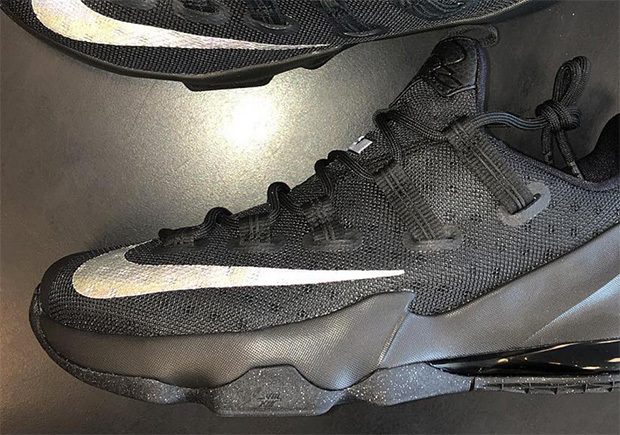 An example of the latter is seen here today, with this new all-black colorway of the Nike LeBron 13 Low. 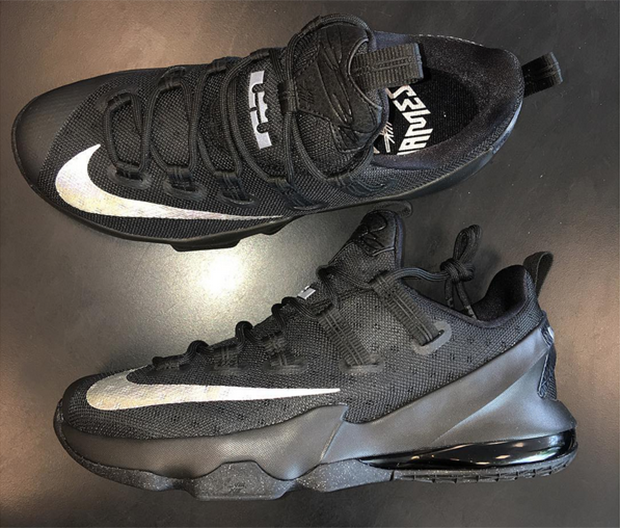 Almost going all the way to the trendy “Triple Black” treatment, the predominantly black shoe that even features the Air Max unit in the heel blacked out does receive a little contrast with the metallic silver toe Swooshes and LeBron logos on each shoe. The almost triple black LeBrons are arriving at select Nike Basketball retailers now.